SARASOTA, FLORIDA, August 1, 2018 – Expect home buying interest to rev up some more around the Palmetto‒Parrish area, already a blooming submarket of Bradenton and Sarasota homes for sale. Some of the planned real estate development projects in this North Manatee area have started to come into play, especially east of Interstate 75 between 69th Street East/Erie Road and Moccasin Wallow Road. The new commercial hub Gateway Commons of Manatee is one of these ventures currently well underway and now targeted for a fall 2018 opening. This retail center under construction is located on the southeast corner of Interstate 75 and Moccasin Wallow Road bordered south by the well-established residential community of Fairways at Imperial Lakewoods and east by the Moccasin Wallow Golf Club. Gateway Commons of Manatee is planned for 83,000 square feet of retail space to be anchored on a Publix grocery store with its square footage yet to be set. More than $20 million is projected for the development of this commercial center which will feature individual spaces of 1,400 to 20,000 square feet aside from the Publix square footage. Outparcels of one to three acres are likewise being developed in this North Manatee retail hub, which likewise has a hotel on its drawing boards. 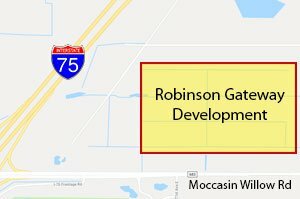 An even larger planned development, the Robinson Gateway, is already approved in a 288-acre parcel only about one and a half mile northeast of Gateway Commons of Manatee. This bigger project spreads north of Moccasin Wallow Road between Interstate 75 and Carter Road. Robinson Gateway’s development plans include retail space of 900,000 square feet, office space of 600,000 square feet, 542 residential units, and 350 hotel rooms, plus a 1,750-seat movie theater. It is also planned for about 40 acres of parks and open space. Commercial and office components are likewise part of the mixed-use development Parrish Lakes proposed for a 1,155-acre site between Moccasin Wallow Road and Erie Road. This acreage is bounded west by the Buffalo Creek Golf Course and flanked Carter Road and Sawgrass Road. 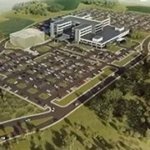 Most of this planned project’s commercial space, which totals 400,000 square feet, would be along Moccasin Wallow Road. Parrish Lakes’ development is programmed for two phases. The development of retail and office space would be part of Parrish Lakes’ phase one. This initial phase, set for completion in 2026, would likewise include 900 single-family residential units and 600 multifamily units. 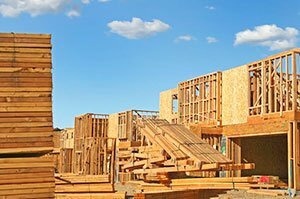 For phase two, the target is 1,300 single-family residences and 500 multifamily homes targeted for buildout in 2036. The Manatee County Commission is expected to deliberate on the Parrish Lakes plans this August or in September. The county staff’s initial assessment of this development’s regional impact shows Parrish Lakes would add 925 students to Manatee County schools by its buildout. To meet the increasing households in North Manatee, the new high school North River High is currently being completed for its scheduled opening in 2019. This new school is located on Erie Road in Parrish where a 74-acre campus of the State College of Florida is also in the planning stage.